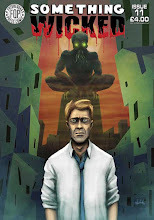 Coming later this year to the pages of FutureQuake- Barry's Nose is by Rory McConville and Scott Twells. Rory McConville has previously written for publishers including DC Comics, The O'Brien Press and Foras na Gaeilge. See more of his comics at rorymcconville.tumblr.com This is Rory's third strip for FQP, following on from 'To the Extreme' in something Wicked #04 and 'Discipline' in FutureQuake #13. Scott Twells is the comics underground best kept secret, as in almost no one knows of his existence. Let's just keep it that way a while,huh? 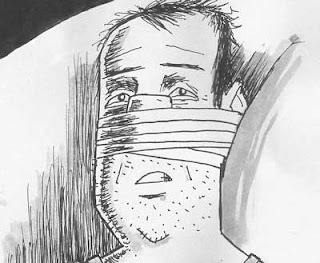 This is Scott's fourth work for FQP, and he is currently to be found illustrating 'TEN' on the back cover of FQ#27. 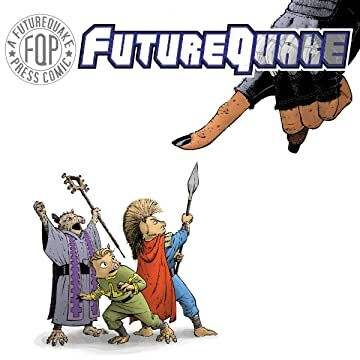 Barry's nose is currently scheduled for FutureQuake #28- on sale November. HEADS UP! Too Busy Thinking about comics!